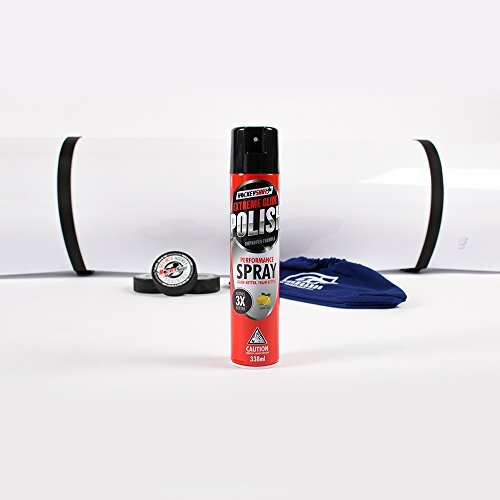 The Slickest Slide Board & Shooting Pad polish on the market! Our premium extreme glide formula will help you get the ultimate puck slide you are looking for on our shooting pads, and also get the on-ice glide you need with our slide boards. Take your training to the next level with our Extreme Glide Polish! Spray It On. Glide Better. Train Better. For use with HS Slide Boards and HS Shooting Pads. Also works well as a surface cleaner, keep your surface in mint condition! If you have any questions about this product by HockeyShot, contact us by completing and submitting the form below. If you are looking for a specif part number, please include it with your message.